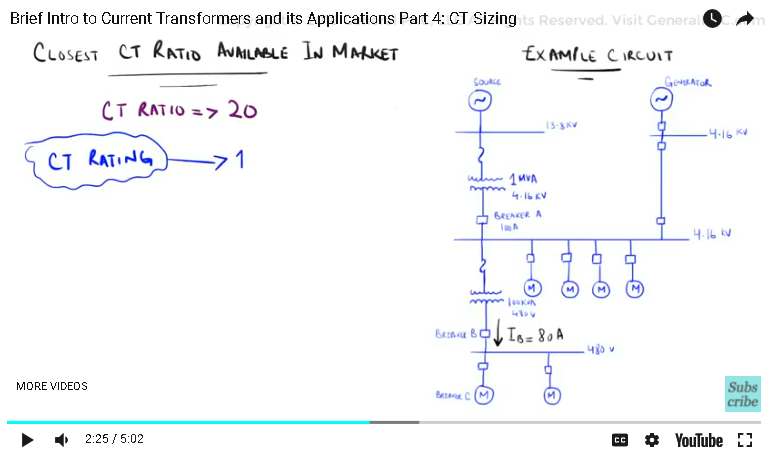 Brief Introduction to Current Transformers and Its Applications. In part 3, we talked about the Current Transformer Accuracy Class, and its importance for metering and protection applications. 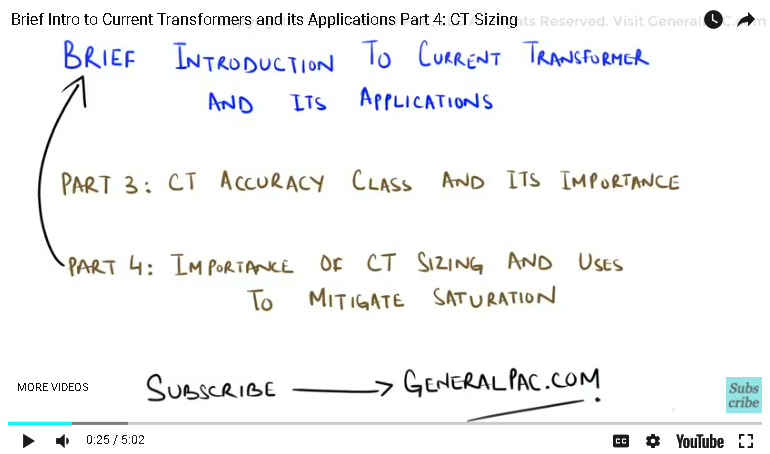 In this part, we will discuss the importance of CT sizing and how it can be used to mitigate saturation. When we talk about CT sizing, there are various parameters to consider including the rated power, the safety factor, the accuracy class and the CT burden. 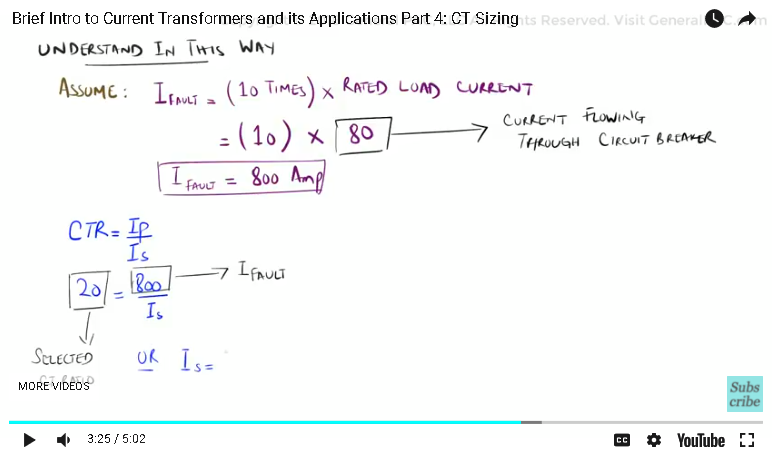 But the most important factor to consider when sizing a current transformer is the “CT ratio”. As discussed in previous parts, the current transformer ratio can be defined as the secondary number of turns divided by the primary number of turns. In other words, we can also specify it as the current flowing through the primary winding divided by the current on the secondary winding. Let us now consider an example circuit, where we have a current transformer connected to Breaker “B”. Let’s assume that the current flowing through Breaker “B” is 80 Amps. We already know that most CTs have a secondary current rating of either 1Amps or 5Amps. Keep in mind that for maximum primary load current, the secondary current produced does not exceed the continuous thermal current rating of any part of the CT total secondary circuit. For this case, let’s select a rating of “5 Amps”. If we plug in the 80 Amp values in the ratio formula, then the resulting ratio is 16 (which is 80 full load amps, divided by 5 Amps rated current on the secondary CT circuit). Practically speaking, the closest CT ratio available to our calculated value is “20”, which means that a current transformer with the ratings of 100:5 should be applicable for our example. 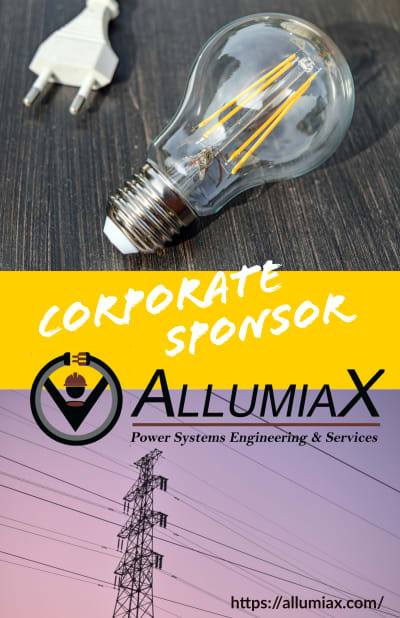 The 100:5 ratio means that we are expecting 100 Amps of full load current on the primary side, which is equivalent to 5 Amps of full load current on the secondary side. Maximum Fault current should be considered when sizing a current transformer for protection purposes. The Current Transformer Ratio should be large enough, so that the CT secondary current, does not exceed 20 times rated current under the maximum symmetrical primary fault current. While the acceptable error of 10 percent is not exceeded. This is a bit difficult to understand first, but let us break this statement down briefly. For our example, let’s assume that the maximum fault current is at “10 times” the rated load current. The resulting value turns out to be 80 times 10, which equals “800 Amps”. Under fault conditions, this “800Amps” is divided by, our ratio of “20”, which results in a current of “40” amps on the secondary side of the current transformer. 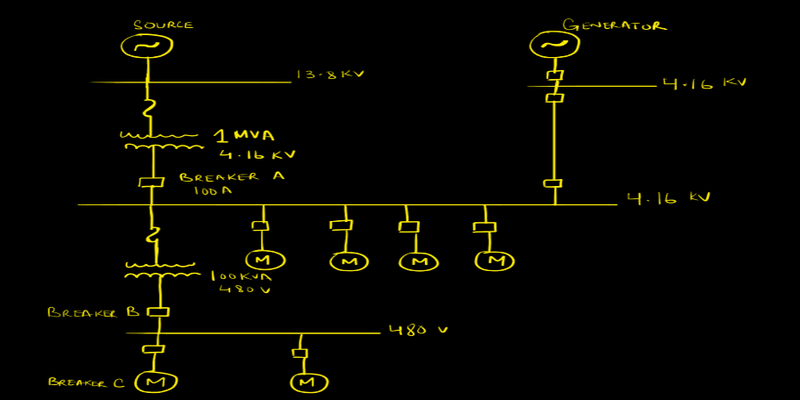 On the other hand, the CT rated current of 5 Amps times 20 comes out to be “100Amps”. Since the maximum secondary current of “40 Amps” is less than “100 Amps”, therefore we can safely assume our CT ratio to be correct. On the other hand, we can face issues like saturation and reduced mechanical capability by applying the wrong CT ratio. Saturation can cause improper functioning of the CT, and even permanently damaging in the worst case scenario. These effects can be minimized by using the highest CT ratio that is compatible with the system. 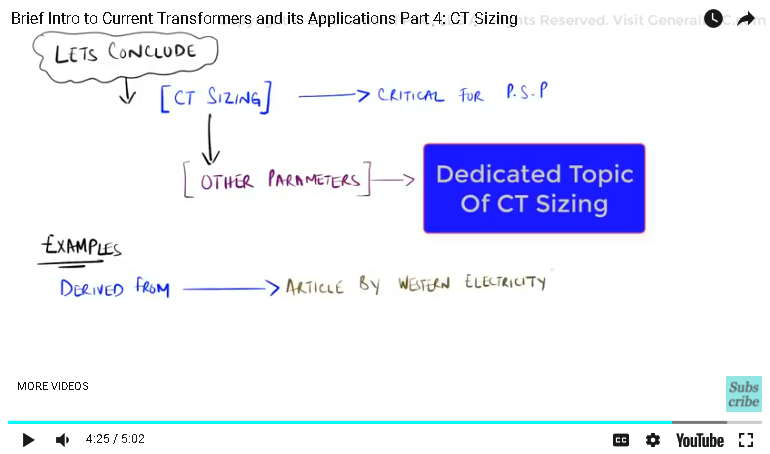 To conclude this discussion, knowledge of CT sizing is critical for power systems protection. 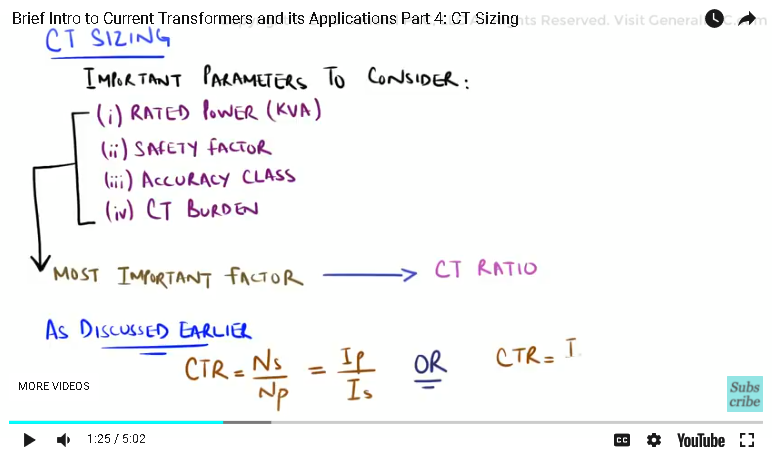 Other parameters for CT sizing will be discussed in more detail in a dedicated topic of CT Sizing. In part 5, we shall talk about the importance of understanding CT saturation. We hope you have a continued interest in this topic and series as a student or professional. We also hope you find this content useful and enlightening. Please consider subscribing to GeneralPac.com… Making Power Systems Intuitive.